While Hulk is active, whenever either you or Hulk takes damage, Hulk deals 2 damage to each opposing character (no matter how many Hulks are fielded). He deals 3 damage instead. If a character has a game effect that is triggered by taking damage, the ability would trigger even if the character die takes enough damage to be knocked out. If the character is knocked out by a game effect, the ability does not trigger. Effects that KO characters (or ones that move characters to different zones) are not considered damage dealt to the character. Hulk: Green Goliath's ability can be activated multiple times per turn. For example, if your opponent has Hulk and Human Torch: Johnny Storm fielded, Hulk could be dealt 1 damage each time your opponent fields a character, causing Hulk to deal 2 damage to your characters each time he takes damage. Hulk's ability triggers when he or the player takes damage. For example, if Black Widow: Tsarina ("When Black Widow attacks, she deals 2 damage to your opponent. Your opponent can prevent this by spinning one of his or her characters down one level.") attacks and Hulk cannot be spun down to prevent the 2 damage and does not block, Black Widow would be KO'd before she goes through and deals her attack in damage to the opponent. Her effect happens before blockers are declared, Hulk's ability goes off when the player takes damage, and characters taking enough damage would be KO'd. A card effect cannot be triggered multiple times by the same effect. For example, if both you and Hulk take damage, Hulk's effect will only happened once regardless of how many times the requirement for his effect is met. If any other source would then deal damage to you (Hulk’s controller) or Hulk, Hulk’s ability would trigger again. However, if something increases the amount of damage dealt to be "more" damage, Hulk wouldn't trigger an additional time. If Hulk blocks a character with Overcrush and both Hulk and the player take damage as a result, Hulk's ability only triggers once since the damage dealt is a single game effect (the attacking character's attack damage) which resolves simultaneously. 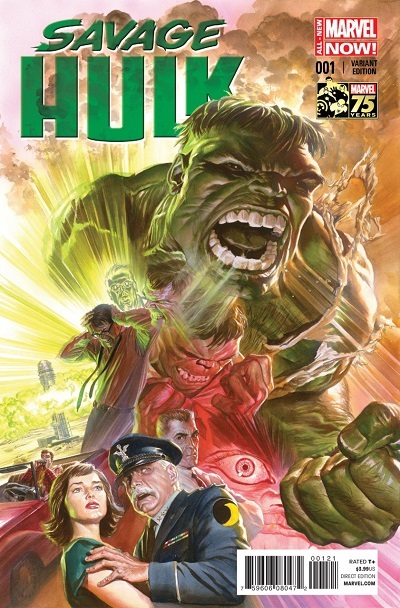 Paying life is considered a cost, not taking damage and, as such, would not trigger Hulk's ability. Examples include Punisher: McRook and Professor X: Principal who both have an effect that the opponent can circumvent by paying 2 life. Constantine: Hellblazer: While Constantine is active, before your opponent's Clear and Draw Step, you may name a character. If that character is fielded this turn, ignore its text until end of turn and it cannot attack this turn. Prismatic Spray: Lesser Spell: All of your opponent's characters lose all their card text until the end of the turn. Deadman: Boston Brand: When fielded, capture an opposing character. This capture lasts until Deadman leaves play. Gelatinous Cube: Apprentice Ooze: Whenever a character is knocked out during the attack step, you may pay to have Gelatinous Cube capture it. This capture lasts until it is used again. Gelatinous Cube: Master Ooze: Whenever a character is knocked out during the attack step, you may pay to have Gelatinous Cube capture it. This capture lasts until it is used again. Gelatinous Cube may block any number of NPCs. Imprisoned: Basic Action: This die captures any number of opposing characters with a total fielding cost of 2 or less. This effect lasts until canceled or you damage your opponent (return the captured die to the field). Loki: Trickster: When fielded, capture an opposing die of equal or lower level (return it to your opponent's field at the end of the turn). Mind Flayer: Epic Humanoid: When fielded, capture an opposing non- character. This capture lasts until Mind Flayer leaves the field. Minotaur: Paragon Humanoid: When assigned to attack, Minotaur captures one opposing die of a lower level. This die remains captured until the capturing die leaves the field or uses the ability again. Rogue: Anna Raven: When fielded, you may capture an opposing die in the used pile (return it at the end of the turn). Spin it to level 1. Rogue copies that die's stats. Rogue: Can't Touch This: When fielded, capture an opposing fielded character (until the end of the turn). Rogue copies that character's stats and abilities. Thor: Odinson: When fielded, capture all opposing characters (return them at the end of the turn). Ultron: Creation: When fielded, capture a target non-Villain character die (return it at end of turn). Ultron Drone: Swarm of Destruction: If this character is KO'd, one of your other fielded characters may capture an opposing character (return it at end of turn). Black Widow: Oktober: When fielded, choose a character die. That die can't block this turn. While active, whenever you use an action die's ability, choose an opposing character. That character can't block this turn. Distraction: Basic Action: Your opponent targets two of his or her characters. Those characters cannot block (this turn). Doctor Octopus: Megalomaniac: When Doctor Octopus assigns to attack, target an opposing character. That character cannot block (this turn). Relentless: Basic Action Global Ability: Pay . Target character cannot block. The Joker: Clown Prince of Crime: When fielded, choose an opponent's character card, cancelling all previous choices. Your opponent cannot field that character while The Joker is active. Loki: Gem-Keeper: When fielded, choose an opponent’s character card, canceling all previous choices. Your opponent cannot field that character while Loki is active. This effect lasts until you field another Loki. Umber Hulk: Lesser Beast: When fielded, choose an energy type. Your opponent cannot field characters of that type next turn. Cerebro: Cybernetic Intelligence: Place Cerebro on an X-Men die's card. It remains there until you or a card effect removes it (it is still in the field). When you field a die from that card, knock out one opposing die. Crush Card Virus: Basic Action: Knock out one of your monsters in the field to knock out an opponent's monster up to 1 level higher than yours. Deadpool: Jack: When Deadpool attacks, you may assign an opposing character to block him. At the end of the turn, knock out that character. Polymorph: Basic Action: Swap a fielded character with a non-NPC character from that player's used pile. Spin the character to level 1. This does not trigger "when fielded" effects. Punisher: McRook: When Punisher assigns to attack, knock out one target opposing character. Your opponent may prevent this effect by paying 2 life. Psylocke: Kwannon the Assassin: When fielded, you may pay to knock out one character. Storm: African Priestess: When fielded, reroll a target opposing character. If the result is not a character, place that die in your opponent’s used pile. Storm: Goddess of the Plains: When Storm attacks, reroll each of your opponent's characters. Place any die that does not result in a character in your opponent's prep area. War Machine: James Rhodes: When fielded, if you have Iron Man fielded, knock out an opponent's character. ^ Marvel Dice Masters FAQ. Wizkids.com. Retrieved 7-14-2015. ^ Timing for damage from Hulk - Green Goliath. Wizkids Rules Forum. Retrieved 7-15-2015. ^ Can Johny Storm activate Green Goliath more than once? ^ Avengers Assemble Vol 2 6. Marvel Wikia Database. Retrieved 9 September 2015. ^ Savage Hulk Vol 2014 1. Marvel Database Wikia. Retrieved 16 October 2016. All times are GMT -5. The time now is 12:20 PM.